The body of Kristin Westra, 47, was found on Friday. The death of a Maine teacher who was reported missing on Monday has been ruled a suicide, according to local authorities. 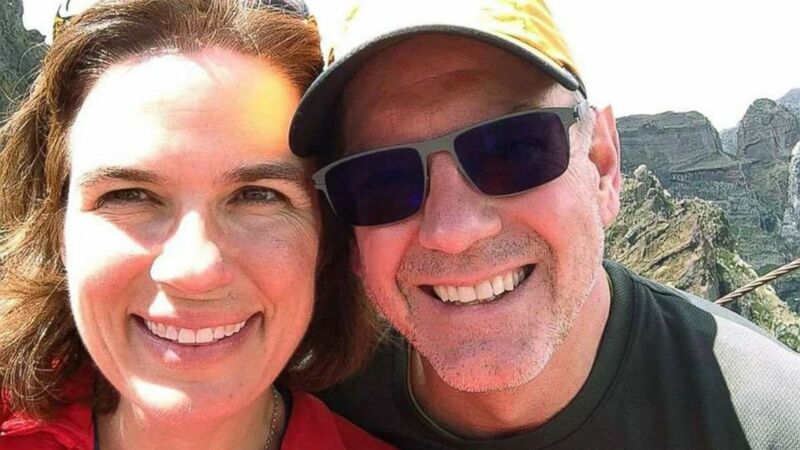 A body found Friday morning in a wooded area roughly 500 feet off Gray Road in North Yarmouth, Maine, has been identified as 47-year-old Kristin Westra, who was last seen by her husband, Jay Westra, last Sunday night. 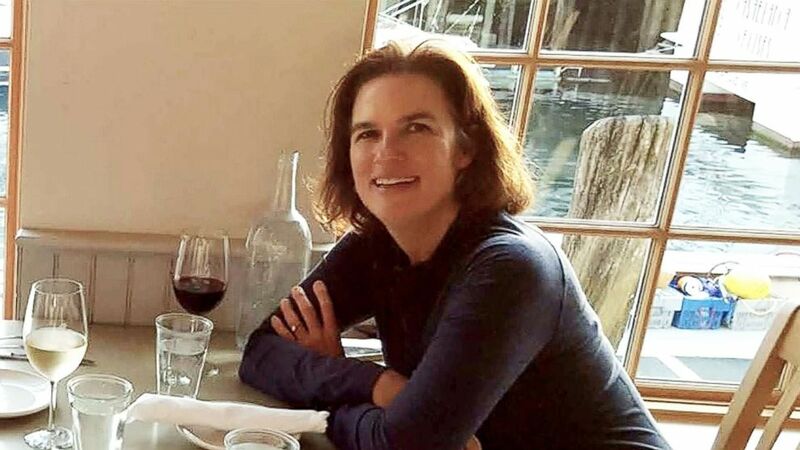 (Courtesy Eric Rohrbach) Kristin Westra, 47, is pictured with her husband, Jay Westra. The Cumberland County Medical Examiner ruled Kristin Westra's death a suicide, the Cumberland County Sheriff's Office announced Sunday. Her cause of death was not released. Jay Westra reported his wife missing Monday morning after he woke up and discovered she was not home, Cumberland County Sheriff's Capt. Scott Stewart told ABC News Tuesday. He last saw her before he went to bed that night, after she returned home from a jog, Stewart said. Kristin Westra's brother, Eric Rohrbach, told ABC News that she had trouble falling asleep Sunday night and that her husband assumed she was going to try and sleep in an empty room when she got out of bed around 3 a.m.
(Courtesy Eric Rohrbach) Kristin Westra is pictured with her brother, Eric Rohrbach, when they were children. When Jay Westra woke up, he "realized she wasn't there," Rohrbach said. Rohrbach said his sister had been under "some stress" due to work and home renovations but described her disappearance as "very abnormal," and said she didn’t do drugs or drink alcohol. 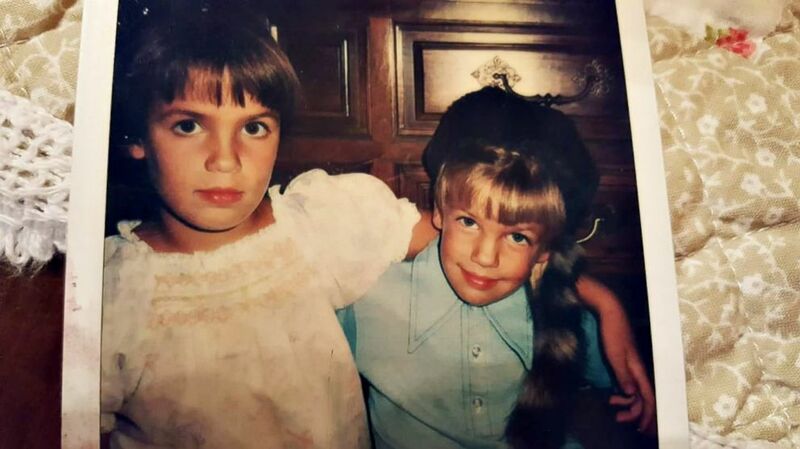 "The thought of her doing this to her family is completely out of the norm," Rohrbach said. (Cumberland County Sheriff's Office) Kristin Westra is pictured in this undated photo released by Cumberland County Sheriff's Office. When Jay Westra attempted to call her cell phone Monday morning, it rang inside the house, Rohrbach said. She did not have her keys or wallet, he said. Kristin Westra was an elementary school teacher and mother to a 9-year-old daughter and 16-year-old stepson, Rohrbach said, calling her a "pillar in her community." Dozens of volunteers searched for Kristin Westra earlier this week. Cumberland County Sheriff's Capt. Craig Smith did not disclose who located the remains or in what condition they were found.